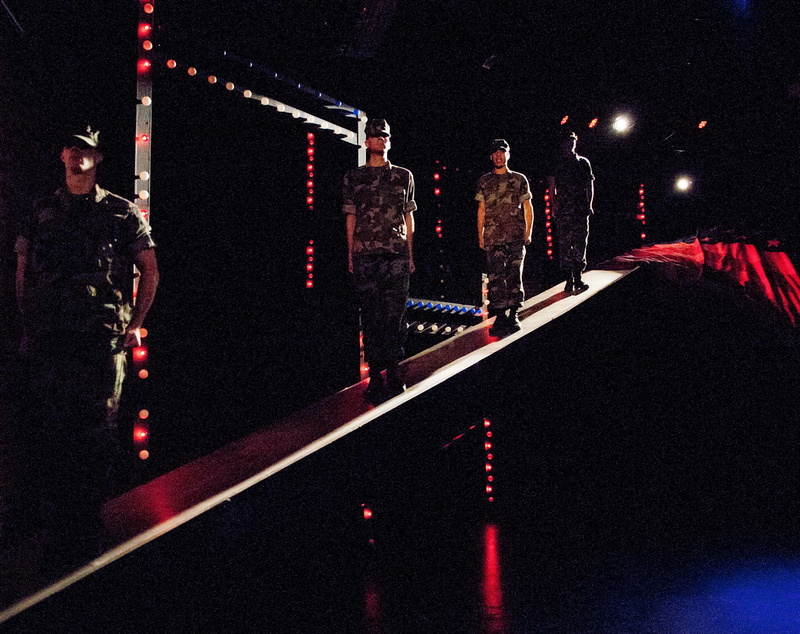 For a play whose characters spend considerable time standing at attention — or hovering, with disciplined posture, near a testifying witness — there’s an impressive physical dynamism to the Keegan Theatre’s “A Few Good Men.” Sitting in the audience, you can almost feel the military establishment bustling around you. The patriotism, zeal and flaws of that establishment are hinted at in Steven Royal’s striking set, dominated by a massive, near-recumbent U.S. flag that slants across the stage, its fabric drooping onto a staircase at the far right. Brianna Letourneau is suitably brisk and compassionate as Lt. Cmdr. Joanne Galloway… Michael Innocenti can be quite funny as Lt. j.g. Sam Weinberg, their gloomy, overtired colleague. Other notable performances in the generally effective 16-person cast include Nathaniel Mendez as the murdered Marine, whose nervous, fidgety mannerisms — seen in flashback sequences — help round out the back story. And Jonathan Feuer puts just the right subtly crazed gleam in the eyes of 1st Lt. Jonathan James Kendrick, Dawson and Downey’s commanding officer. But it is probably [director Jeremy] Skidmore who can take most credit for the production’s crispness, vigor and beats of emotion. 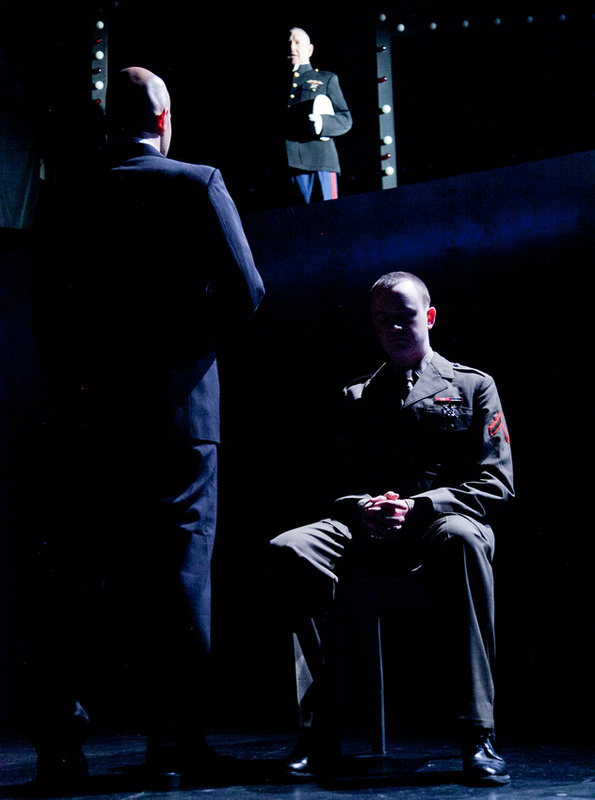 In one clever touch, the witness stand and counsel tables sometimes swivel between court-martial scenes, keeping the stage picture new.